I'm Chris Shattuck and this is "How to Work With Files and the File API". In this video, we're going to talk about some important concepts around working with files such as managed and unmanaged files, stream wrappers and a whole lot more. We're about to cover a lot of ground in this video, but before we get started, I wanted to give you a quick demonstration of the final module that we're going to build. The idea behind the module is that we're building a basic gallery management tool before images without using nodes. So everything that we build is outside of the node system, so it's a perfect opportunity to look at how to work with files, both within the Drupal system and outside of it. 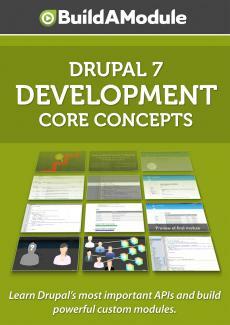 And in Drupal terms that means managed files and unmanaged files. So what we'll have here is one page that allows us to upload an image in an unmanaged fashion. So I'm going to go ahead and browse an image here. I'm going to go ahead and submit it and we get a little message that says "Your file has been uploaded".